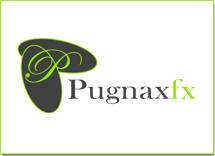 Pugnax FX Capital Ltd is one of the UK’s leading specialists in Foreign Exchange Brokering. Our head office is in central London. We are a dynamic business with a global reach, serving a range of clients of Large and Small Businesses across diverse market sectors and including Private Individuals. We have in-depth and specific industry knowledge and expertise in Foreign Exchange and have years of experience in the Financial Markets. We have assisted many clients around the world with foreign currency advice and transactions. At Pugnax FX Capital Ltd we are committed to providing a focused, premium service that combines a depth of experience and expertise with world-class trading systems. We offer flexible and highly personal account management capabilities, and stringent standards of governance and compliance. We thrive on working with some of the world’s most innovative firms and the people driving the industries of the future. We assist firms with their global Foreign Exchange needs and have trusted business Affiliates & Partners all over the world. We work closely with clients, forging relationships which have enabled our network to expand to Europe, Asia, USA, Africa and Latin America. At Pugnax FX Capital Ltd will always take the time to understand your concerns, needs and priorities, and will work closely with you to develop and execute the best solution to meet your requirements. We deliver a high level of customer service, and we are proud of the fact that the majority of our business comes from personal referrals.